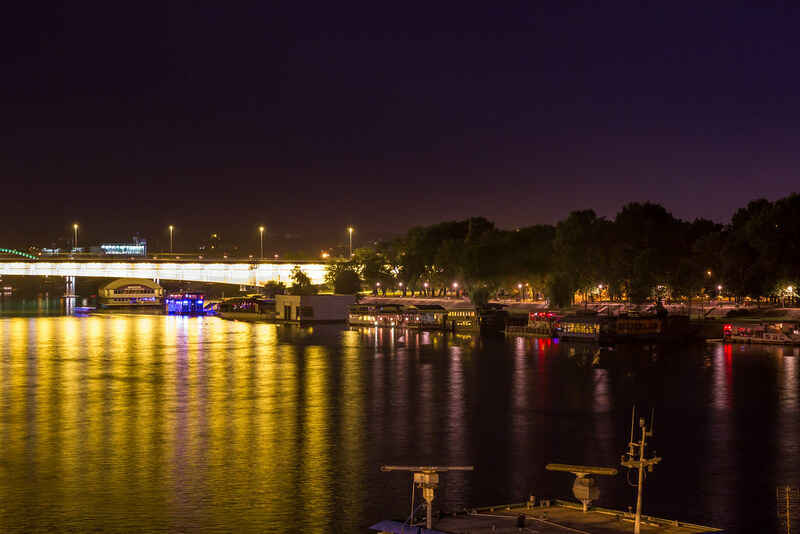 From the ancient fortresses, remarkable history and rich culture to the tasty cuisine and dynamic nightlife these are just some of the attractions in Belgrade! The capital of Serbia is becoming increasingly popular among people from all around the globe, and with good reason, Belgrade never disappoints. Whether you are visiting Belgrade to party, to explore its culture, or for work, you’ll surely receive a warm welcome. Kalemegdan is a crown jewel of Belgrade. It’s a beautiful green area and a fortress with an impressive view over New Belgrade and the Sava and Danube confluence. From the ancient Roman times, the medieval Ottoman ruling to the modern era, Kalemegdan was a center of many turbulent events. It was damaged and rebuilt many times. That’s one of the reasons why it carries a unique mix of western and oriental influences. 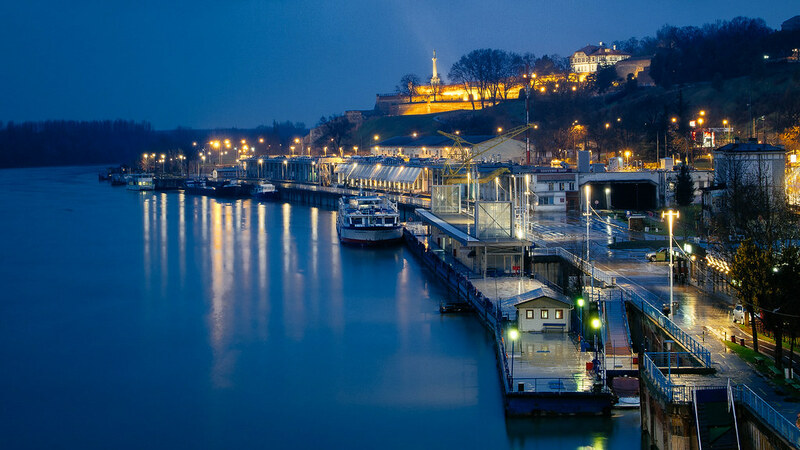 The entire area houses museums, galleries, restaurants, sport courts and a Belgrade Zoo. 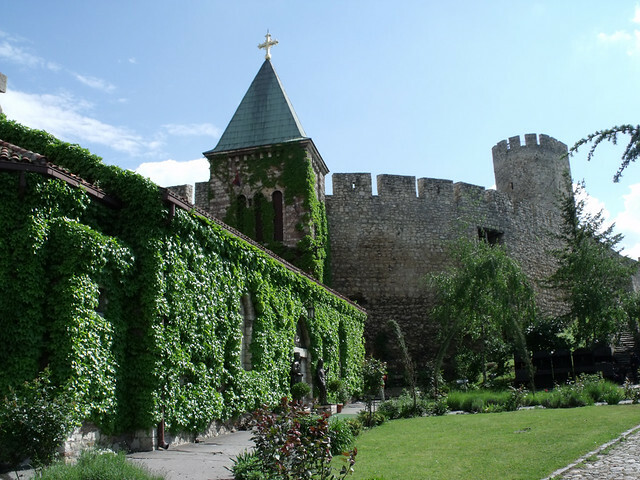 It’s not hard to see why Kalemegdan is the favorite attraction for both locals and tourists. What do famous artists, writers, celebrities and tourists have in common? Well, love for great food and alcohol, of course! That’s why everybody loves Skadarlija. 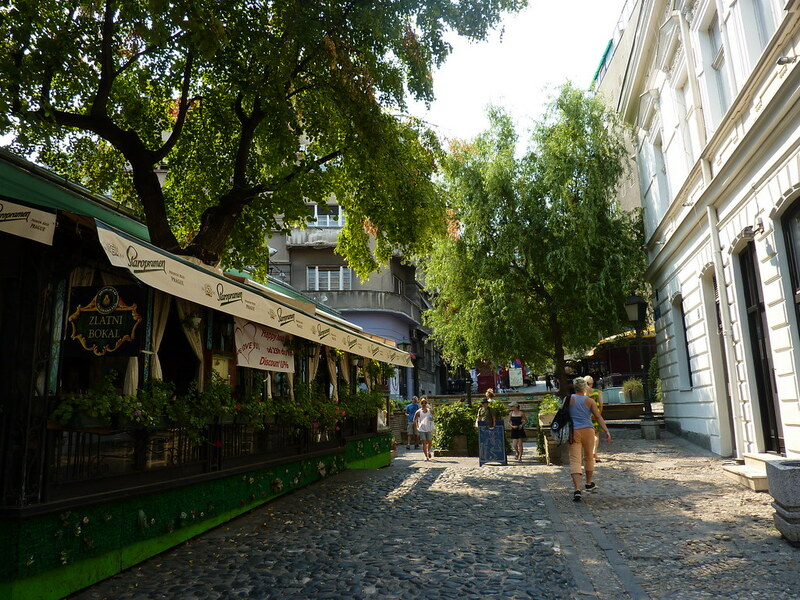 It’s a lively cobblestone street at the heart of Belgrade, with a true bohemian atmosphere. Over a hundred years ago there were lots of small craft shops lined along the street. Later, these shops turned into kafanas, the Balkan version of a tavern. Kafana is a place where people can eat, drink, relax and listen to an old, traditional Serbian band playing just for their pleasure. It’s a common thing to stay until morning, drunkenly singing along with the musicians. 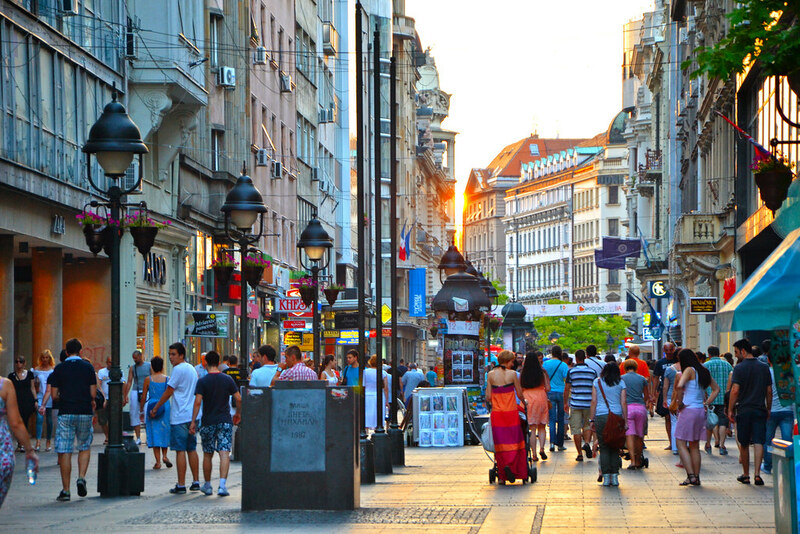 Knez Mihailova is Belgrade’s main shopping area and the longest pedestrian street. There are always things to do around here. Numerous shops, restaurants and bookstores are tucked in classy 19th-century buildings with delicate facades. Street painters, jewelry makers and musicians are making sure this street stays one of the most vibrant and interesting in the city. In this area you can also find some of the best accommodation in Belgrade. Knez Mihailova street will lead you directly to Kalemegdan park, where you can easily continue with your exploration of the city. 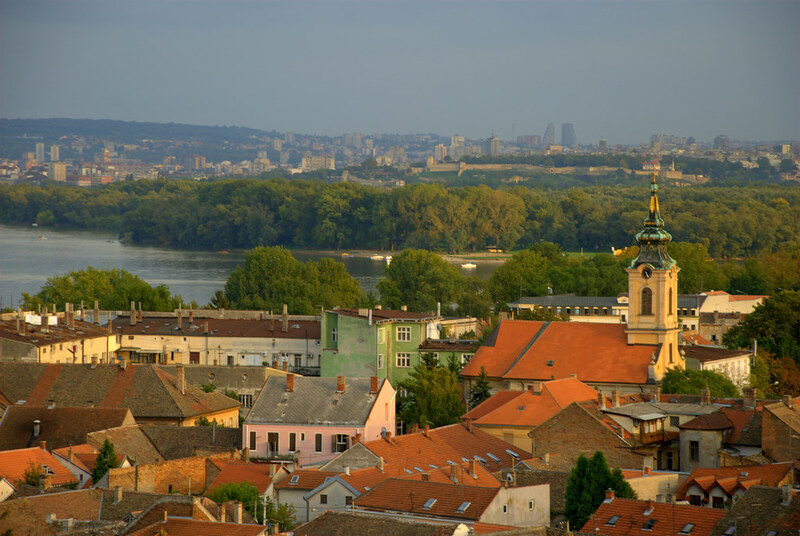 Zemun officially became a part of Serbia after the end of First World War. Before that it was the southernmost town of Austro-Hungarian Empire. With its narrow streets and well preserved architecture, Zemun is a treat to discover on foot. Danube quay is just around the corner, with lots of nice restaurants where you can chill and enjoy the fresh river breeze. The Gardos tower or Millennium tower is a true symbol of Zemun. It was built in 1896 on the ruins of a medieval fortress. Hungarians built it as a celebration of 1,000 years of the founding of the Hungarian state. There is an art gallery at the bottom of the tower and you can climb the stairs to get to the top. 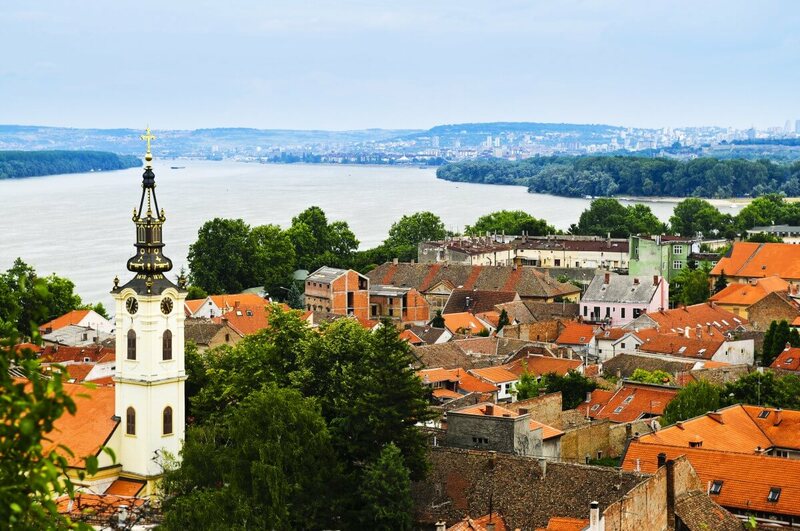 From there you can enjoy a magnificent view over Danube, Zemun rooftops and parts of New Belgrade. This area is also known for its lagums, a vast network of underground passages, which were used to store supplies but also as a hiding place from the enemy soldiers. If you want to have a glimpse into the fascinating history of Yugoslavia, this is a must-see. There is an extraordinary collection of thousands of artefacts, historical documents, presents, photographs, weapons and films from the communist period. You’ll get a better feeling of what Yugoslavia was all about. Yugo cars, red stars, brotherhood and unity, volunteering working actions, it’s all there, well documented. 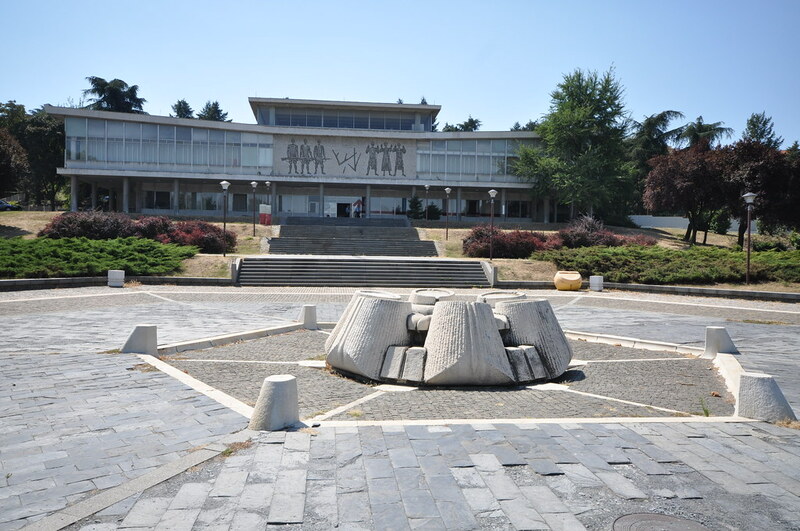 Besides the museum, you can visit the House of flowers – the grave of the internationally respected former president of Yugoslavia – Josip Broz Tito and his wife, Jovanka. Tito was a Partisan leader during the Second World War who later became the president of Yugoslavia. He managed to slowly rebuild the country after the devastating war, which in turn made him wildly popular among Yugoslav people. Tito ruled the country from 1953 to his death, in 1980. His funeral is still regarded as the largest state funeral in history. There were presidents, kings, and officials from 128 different countries, which all came to show their respect. Tito was a charismatic leader and is still one of the most important figures in all ex-Yugoslav countries. Every year, more than 100,000 people come to visit Josip Broz Tito’s grave. It’s definitely one of the most popular sights in Belgrade. Ada Ciganlija is a wonderful river island that has artificially been turned into a peninsula. It’s located only 15 minutes away by bus from the city center. During the summer, Ada is a home of up to 100,000 visitors a day. If chilling at the beach is not your thing, you can try some other amazing activities Ada has to offer. There’s bungee jumping, water ski cableway, a rock climbing wall, a water slide for kids, rugby, baseball and tennis courts, beach volleyball courts, a golf course, you name it. If you decide you just don’t want to walk anymore, don’t worry – you can hop on the tourist train that goes around the lake. 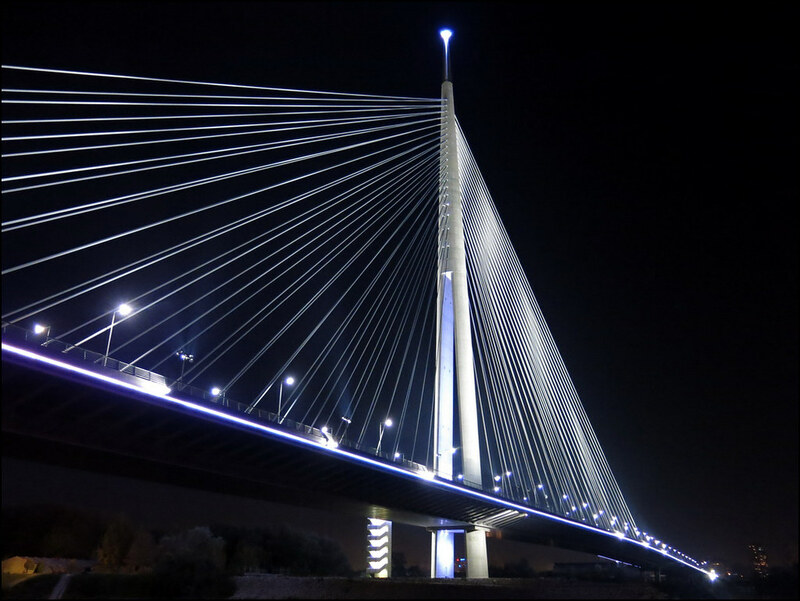 On your way back, feel free to snap some photos of the impressive Ada Bridge, which quickly became one of the symbols of Belgrade. One of the people Serbs are most proud of, is Nikola Tesla – the brilliant Serbian-American inventor, engineer and futurist, most famous for developing modern alternating current electricity system. Tesla was also a pioneer in the discovery of X-ray technology, radar, remote control, electric coil and radio. As if that’s not enough, the world’s most awesome electric car is named after him. The Nikola Tesla Museum contains all sorts of documents, books, drawings and photographs related to Tesla’s work. There are also interesting interactive exhibitions displaying some of Tesla’s inventions. Students and science enthusiasts will be especially delighted to explore his work. 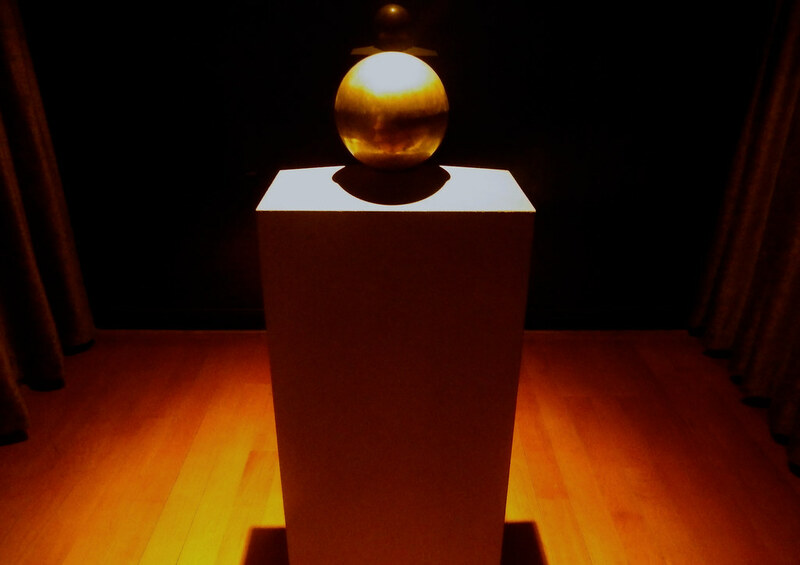 Inside the museum you will also find a strange, golden orb. That’s an urn containing Nikola Tesla’s ashes, a subject of continuous debate between the museum and the Orthodox Church – which argues that his remains ought to be properly buried. There are guided tours available in Serbian and English. 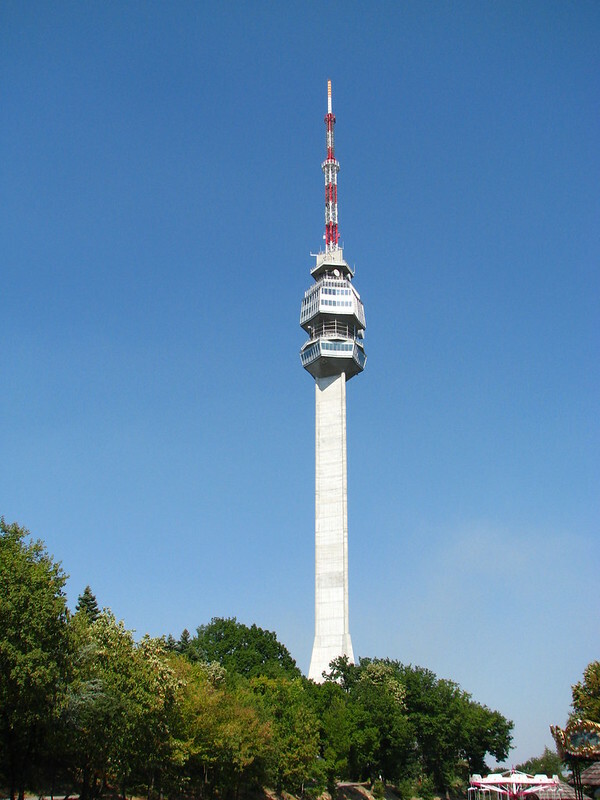 The Avala Tower is a telecommunication tower located at mount Avala at the outskirts of Belgrade. It’s 205 meters (672 feet) high and presently the tallest tower in Belgrade and the entire Balkans. The view from the top is breathtaking. On a clear, sunny day you can have a great view of 100 kilometers around onto the surrounding villages, hills, distant New Belgrade blocks and even Vojvodina region, plain in the north of Belgrade. Mount Avala itself is covered in forests, and makes a really nice destination for a picnic and nature lovers. The tower was built in 1965 and destroyed during the NATO bombing in 1999. It was reconstructed and re-opened in 2010. The new tower looks almost exactly the same as the old one – a subtle sign of Serbian pride and stubbornness. Have you ever been in a church lit by chandeliers made of weapons? Church Ruzica is located on Kalemegdan fortress and it’s the oldest church in Belgrade. It was destroyed in 1521 by the invading Ottoman Turks, and later used as a gunpowder magazine. 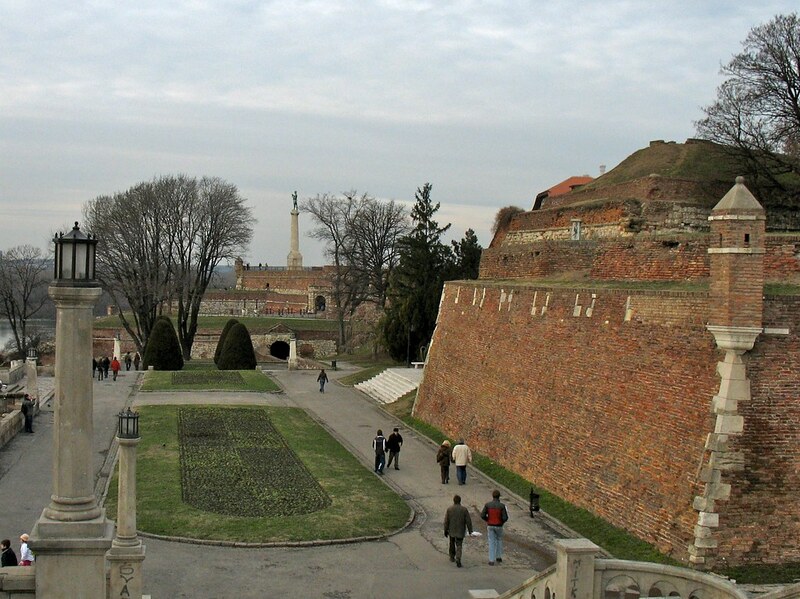 The First World War battles between Serbs and Austro-Hungarians occurred at down-town Kalemegdan. That’s where the Serbian soldiers used their downtime to build two chandeliers made entirely of empty bullet shells, swords and cannon parts, and gave them to the church. These chandeliers represent great examples of war art, and they carry a simple message: The madness of The Great War should never happen again. Ironically, Belgrade was bombed as soon as 1941. St. Sava Temple is the world’s second biggest Orthodox Church. It carries its name after Sava, a Serbian monk from the 13th century, the founder of the Serbian Orthodox Church and its first archbishop. The temple stands on Vracar hill, on a place where in the 16th century the Ottomans have burned St. Sava’s bones as a sign of their power. The construction of the temple began in 1935, but the temple isn’t finished yet. The Nazi invasion of Belgrade in 1941 and then decades of communist regime were the main obstacles to its completion. It’s told that Serbian Patriarch German had to send 88 requests to the authorities before the continuation of the building. Today, the exterior of the church is finished and covered with white marble. But the insides of the temple still need a lot of work because of the delicate frescos and huge temple size. St. Sava Temple is visible from almost every part of Belgrade and it carries the intriguing story about the struggle of Serbian people throughout the centuries. After you have visited some of Belgrade’s top attractions, you’ll probably want to relax a bit. What better place for that than Beton hala (Concrete Hall). This urban riverside area located near the Branko’s bridge is becoming one the coolest places to hang around. Some of the best restaurants in Belgrade are located here. Unlike Skadarlija, which is mostly concentrated on traditional Serbian food, Beton hala offers a different kind of vibe – modern restaurants with cuisines from all around the world. Whether you choose to come for a drink, or you would rather have a nice dinner by the Sava River, Beton hala has it covered. Restaurants like Cantina de Frida (Spanish, Mexican and South American food), Ambar (combination of the Balkan food and the latest trends) or Sakura (sushi and cocktails) will satisfy all your senses. At night it can get pretty crowded so keep in mind you’ll maybe have to make reservations. There is also live music playing at night, so you can continue with the party. 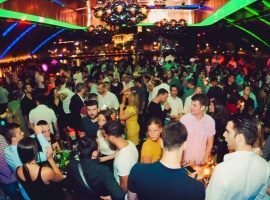 Speaking of parties – did you know that Belgrade is on the list of the best party cities in the world? Belgrade river clubs, popularly called “splavs” are mostly responsible for that. As a city that lays on the confluence of two big rivers, Belgrade simply followed natural order of things. During the summer, the riverbanks are full of people, hopping from one “splav” to the next. 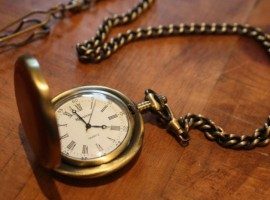 Parties usually really start around midnight, and last to the morning. In case there is an after party, they last even longer. It’s not unusual to see a group of tired-looking young people crossing the Branko’s bridge around 8 in the morning, especially during the weekends. There’s a variety of music for everyone. From the 80’s hits, rock, newest hip-hop songs to the infamous Balkan mixture of techno and folk, there’s plenty to choose from. This city never really sleeps. Even when it seems there’s no one on the streets, you can be sure there’s a party lurking just around the corner. Belgrade is never the same, just like the rivers passing through it. Although it’s been destroyed more than 40 times throughout its long and violent history, it somehow always rises from the ashes. It’s hard to forget its diverse culture and charming imperfections that Belgrade proudly wears. There’s an original combination of west and the east, ancient and modern that makes this city so special. A strong sense of freedom roaming the streets and generous people always ready to help will definitely make you want to visit Belgrade again. Best Way to Visit Belgrade is by Bike! 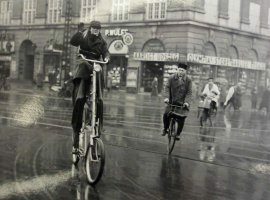 Check out All Attractions & More with iBikeBelgrade! 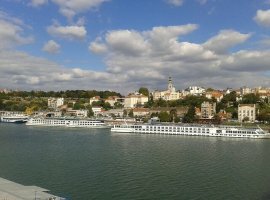 What are your favorite things to do in Belgrade? Let us know in the comments below.